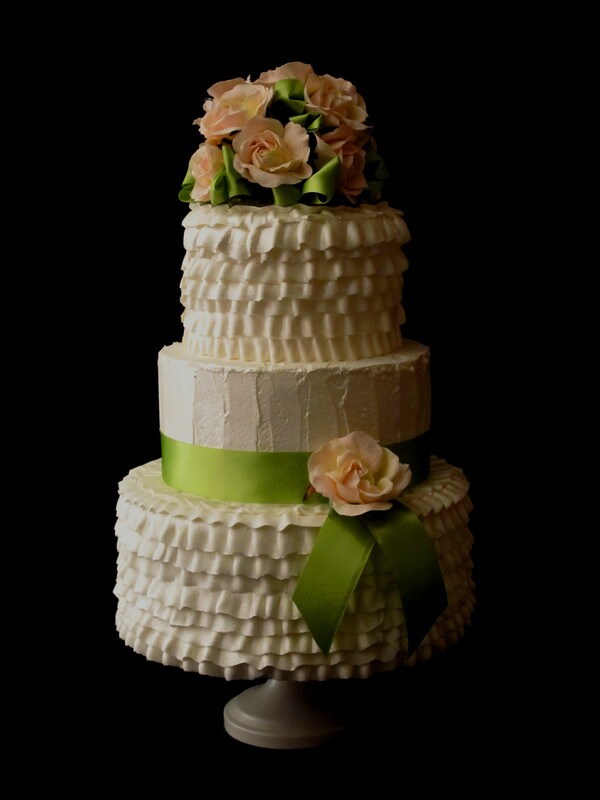 This beautiful, romantic wedding cake has a ruffled ribbon effect and is pealized to create a pretty simmer. The ribbon color is lemongrass green and the roses are a soft pink with green accents. The cake has an antique vintage feel. 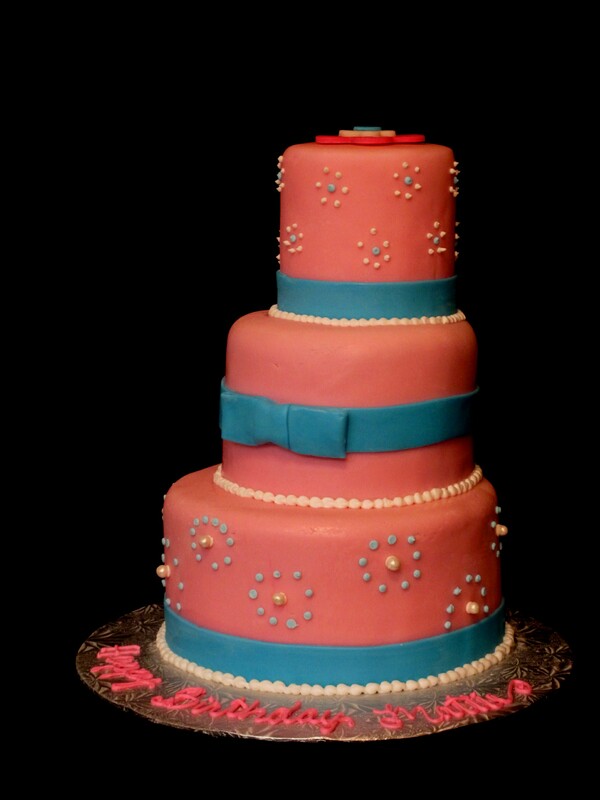 This pretty pink and blue 3 tier cake was created for a little girl’s birthday. The cake is covered in marshmallow fondant. The bottom two layers are cake and the top tier is a cake dummy. To order a cake, cheesecake, pie or cookies, call the The Twisted Sifter Cake Shoppe at 859-285-0306. For more information, visit our website at TheTwistedSifter.com. I created this white, black and hot pick fondant tiered cake for this year’s Miss Kentucky Teen USA pagent. The cake is covered in white fondant. 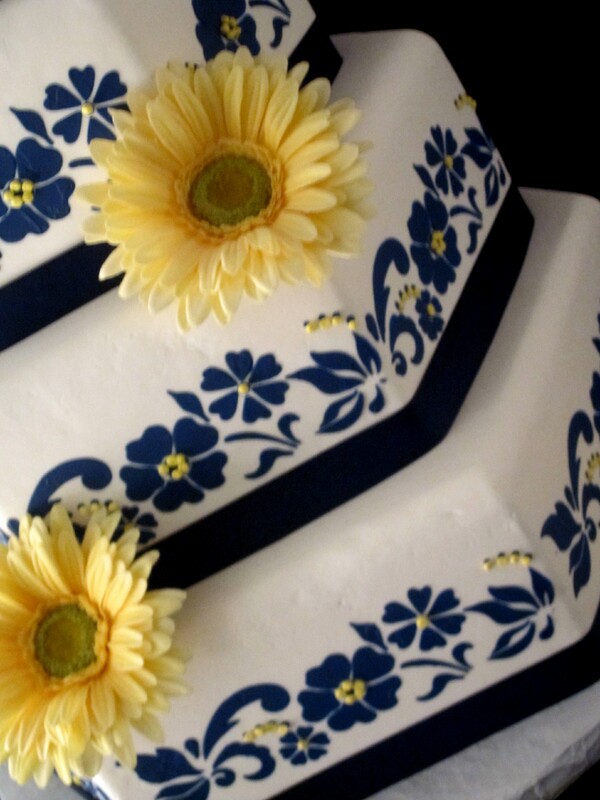 The flowers and polka dots are picped with royal icing. 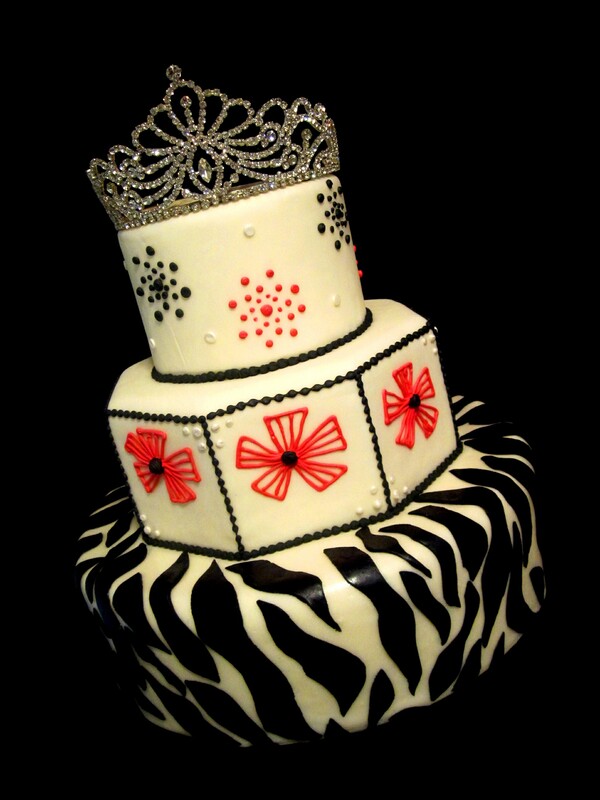 The zebra print is created in marshmallow fondant. The cake is topped with a rhinestone tiara. To schedule a complimentary wedding consultation and tasting or to order a special occasion cake, call The Twisted Sifter Cake Shoppe at 859-285-0306. 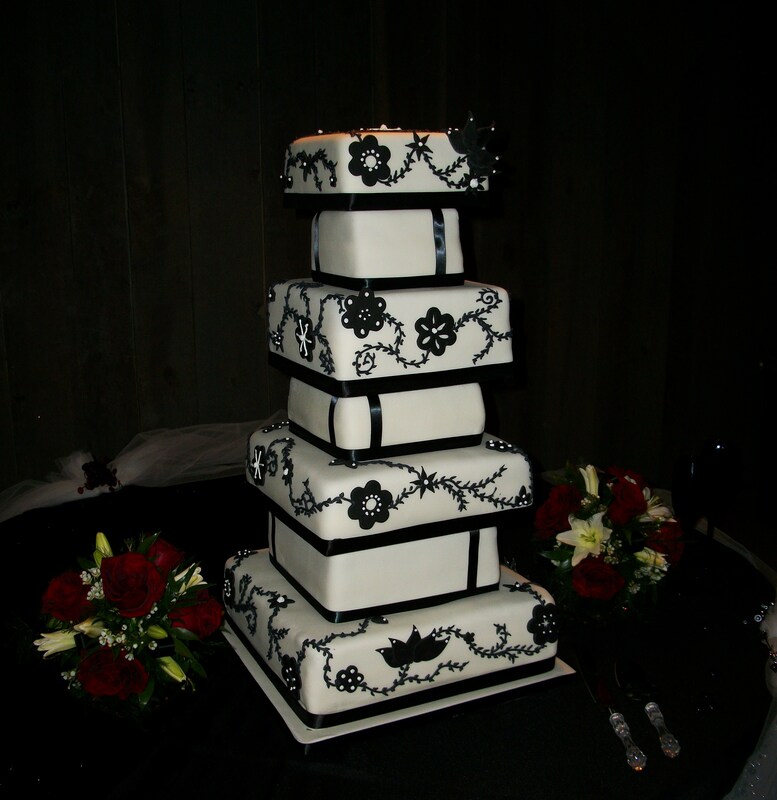 This 7 tier black and white wedding cake was created for a wedding in Bardstown, KY. The event was held in a barn setting. Each layer of cake is a different flavor and filling. The cake is covered in hand made marshmallow fondant and piped with black royal icing. 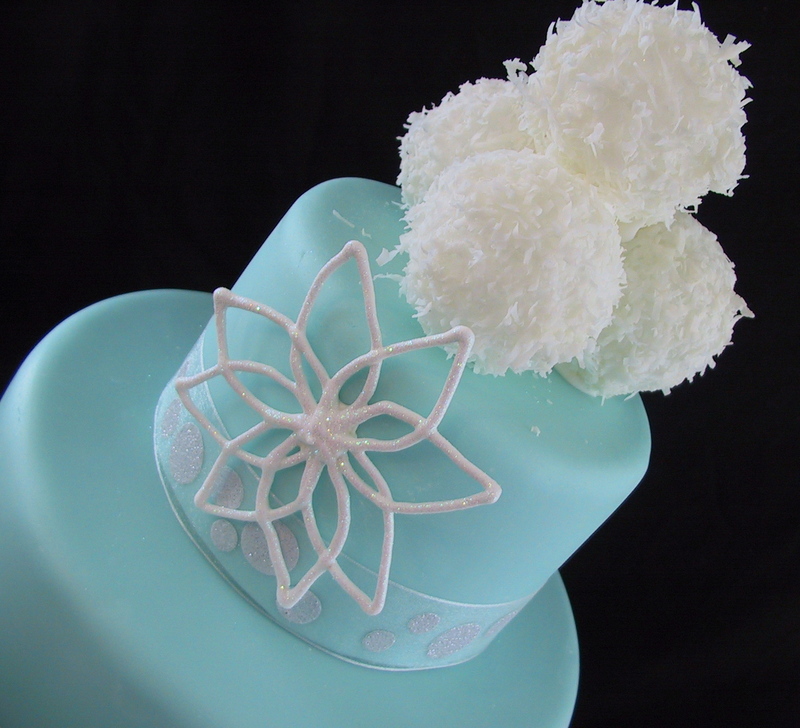 The embellishments are made from fondant as well. For a complimentary wedding consultation, call The Twisted Sifter Cake Shoppe at 859-285-0306 or email us at TheTwistedSifter@yahoo.com. 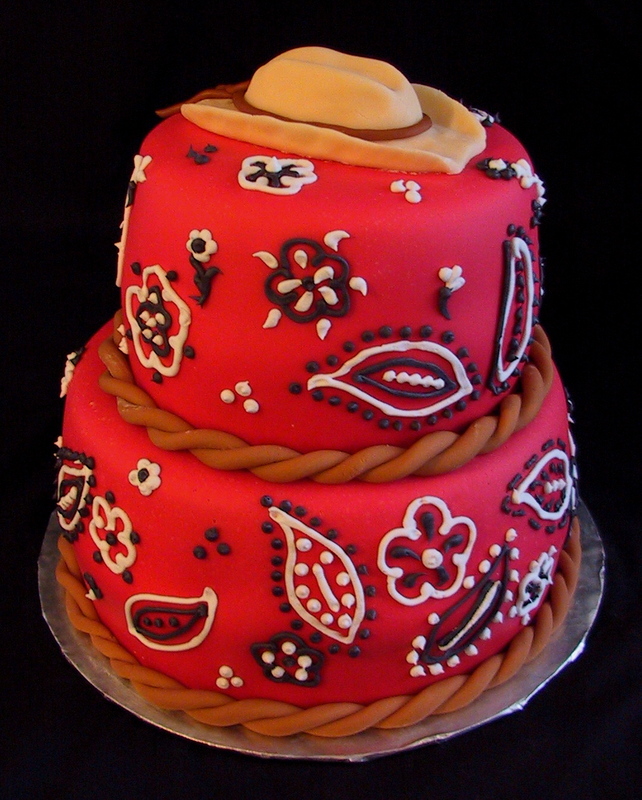 This two tiered red fondant bandana western themed birthday cake was created for a close friend’s birthday. One tier was strawberry cake with a fresh strawberry filling and the second layer was a white cake with a fresh lemon filling. Both cakes were iced with a vanilla buttercream under the marshmallow fondant. 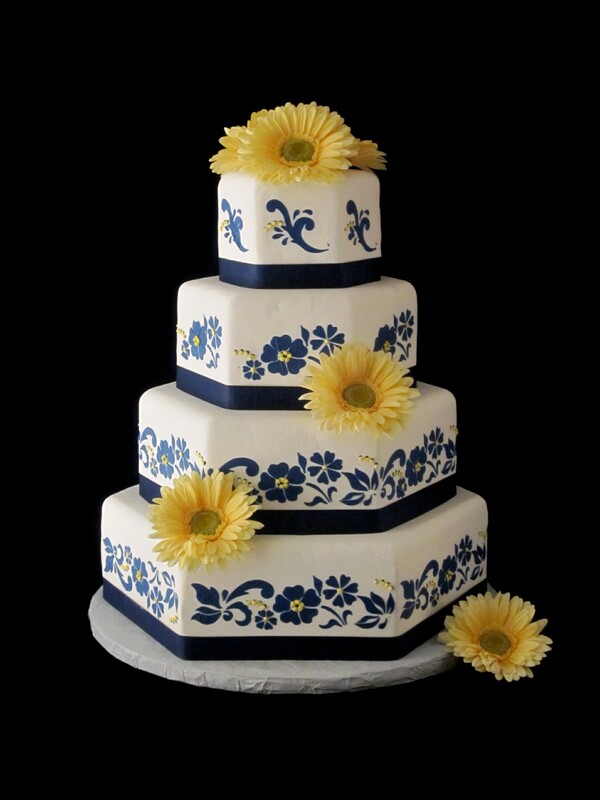 The design was piped on using royal icing. To order a birthday cake call The Twisted Sifter Cake Shoppe at 859-285-0306 or email Pam@TheTwistedSifter.com. 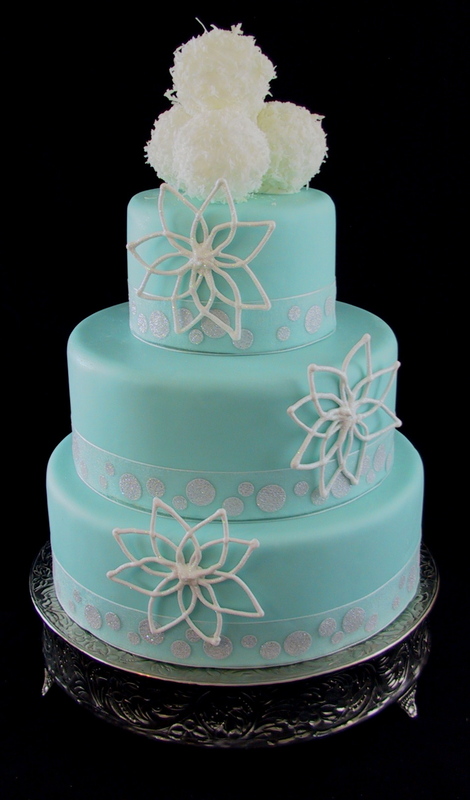 This tiffany blue fondant wedding cake was created for the Lexington Bridal show on Sunday, September 13, 2009. The cake is 3 tiers covered in marshmallow fondant. 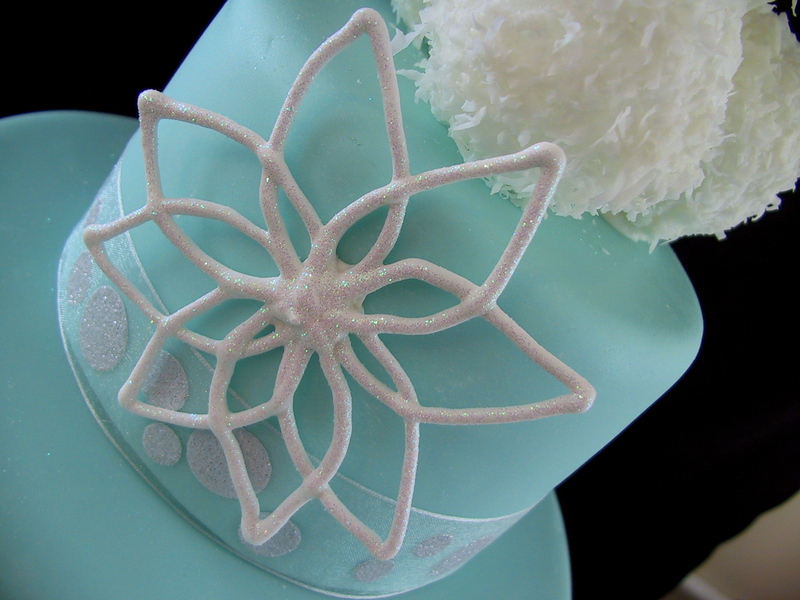 It is decorated with royal icing snow flakes, coconut covered snowballs and is accented with a sheer silver ribbon.